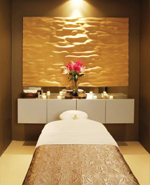 Hammam Spa | Spa Inc. Located in the heart of downtown Toronto, Hammam Spa brings old-world rituals and ancient relaxation techniques to the fast paced, corporate crowd and infuses it with contemporary technology and design to create a truly unique relaxation experience. Hammam Spa has masterfully taken inspiration from the ancient philosophies of the ritualistic baths in Turkey, and has created their own urban, 500 square-foot co-ed Hammam. "A deep, relaxing steam is emitted from the Hammam. This works in a multitude of ways to promote well-being and boosting one's immune system," says Paula Aveling, director of marketing at Hammam Spa. The heat in the Hammam, rising to 98 C, relaxes the muscles, relieving built up stress and alleviating pain. Eucalyptus oils are diffused in the Hammam, the benefits of which include promoting good respiratory health, and containing anti-inflammatory properties. This facility is the first of its kind in eastern Canada, with the style and feel of a natural grotto with black slate surfaces and lit onyx bowls that hold iced towels and cold water to cool down. In addition to the Hammam, Hammam Spa offers two signature treatments inspired by those that were customary to the original Hammams found throughout Europe and the Middle East. "Firstly, the Hammam Turkish Bath Treatment," describes Aveling. "This authentic bath is performed in our Turkish Suites lying on a white onyx table heated to 108 C in a candle lit and rosemary scented environment. Its purpose is to cleanse, relax, and purify the body and skin using hot and cool water techniques in conjunction with exfoliation practices developed over centuries." Secondly is the Rhassoul Wrap treatment. Performed in a rosemary-scented room, light by delicate candlelight, atop a white marble table heated to 104 C, combining massage and exfoliation, the wrap is designed to relieve tension and relax strained and tired muscles. The ambience is second to none. "We are not a sterile or clinical looking spa, nor are we an ultra-feminine space," Aveling says. "Ours enraptures the senses with the use of different touches including candlelight, incense, music, and flowers. Every part of the sensorial journey is carefully developed to create just the right environment to have your stresses relieved and your passions revived."